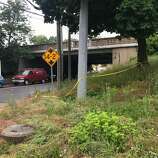 Police tape is show near the I-95 overpass at West Avenue in Stamford, Conn., on Friday, June 1, 2018, where police say a man was shot to death on Thursday night. 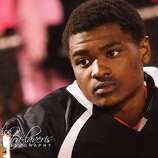 Police have identified the homicide victim as Stamford Academy student and as former Stamford Knights football co-captain, Antonio Robinson. 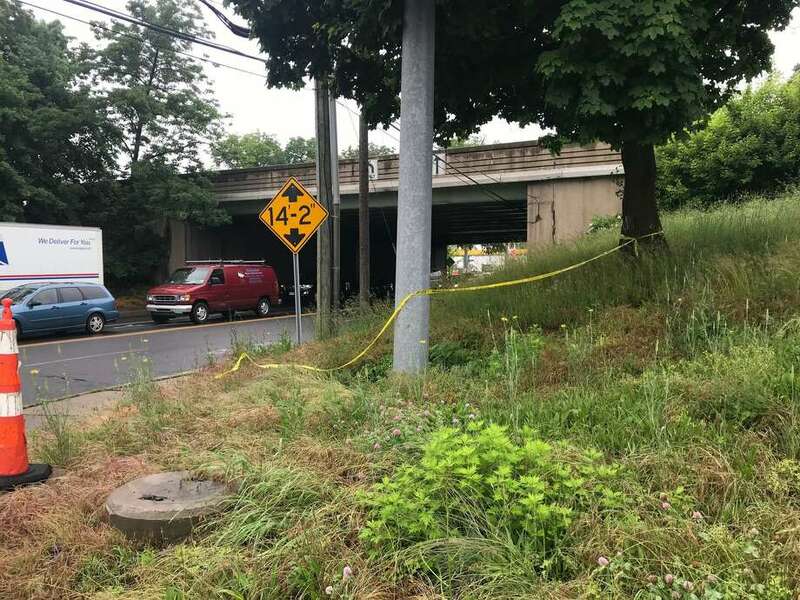 STAMFORD — Stamford police on Tuesday arrested three young men in the May 31 murder of Antonio Robinson, 18, who was shot in the back underneath the West Avenue Bridge. Lt. Tom Barcello said the youngest of the three arrested, a 15-year-old, was charged with murder. He has not been identified because of his age. Charged with criminal liability for murder were Jimmy Jean-Baptiste, 18, and a 17-year-old juvenile, both of Stamford. The 17- and 15-year-olds have been remanded to custody of juvenile authorities. Jean Baptiste is being held in lieu of a $500,000 bond, Barcello said. Barcello said Judge Richard Comerford signed the arrest warrants for the three Tuesday afternoon and it took police about an hour to bring them into custody. Barcello said that investigators have determined the killing was senseless and might have had more to do with the different areas the young men lived in than anything else. “It could have been a perceived feud, that they live in different neighborhoods,” Barcello said. Barcello said it was the 15-year-old who had the gun and allegedly shot Robinson, a former co-captain of the Stamford High School football team who was to receive his high school diploma weeks after his death. Robinson’s sister Latavia Warren said she and her family were celebrating on Tuesday night. Barcello said that Antonio Robinson and a friend were walking south on West Avenue just before 8:45 p.m. on May 31, heading to the Chester Addison Community Center to play basketball when they came up to the Interstate 95 overpass. Walking into the tunnel, they encountered Jean-Baptiste and the juveniles. “They got involved in a brief interaction when the 15-year-old pulls a gun and fires, striking Robinson in the back,” Barcello said. Robinson continued running out of the bridge and turned west on Baxter Avenue before collapsing next to a parked car. Barcello did not seem sure if Robinson or his friend was the intended target. Barcello said the 15-year-old boy was known to police before the Robinson murder. With the help of patrol officers who rushed to the scene, the three suspects were identified that night, Barcello said. Barcello credited Sgt. Chris DiCarlo, Jerry Junes and Rafael Barquero with doing an excellent job with the investigation.